We’re still in the age of Peak TV, where an endless stream of original programming is coming at us in all directions. And that’s before tech behemoths Apple and Facebook have even dipped more than their toes in the TV waters. As it becomes a constant struggle to stay on top of it all, you have to wonder when, not if, the TV bubble will burst. One day Netflix will run out of subscriber money and they’ll need to turn to… gasp… advertisers for another revenue stream. 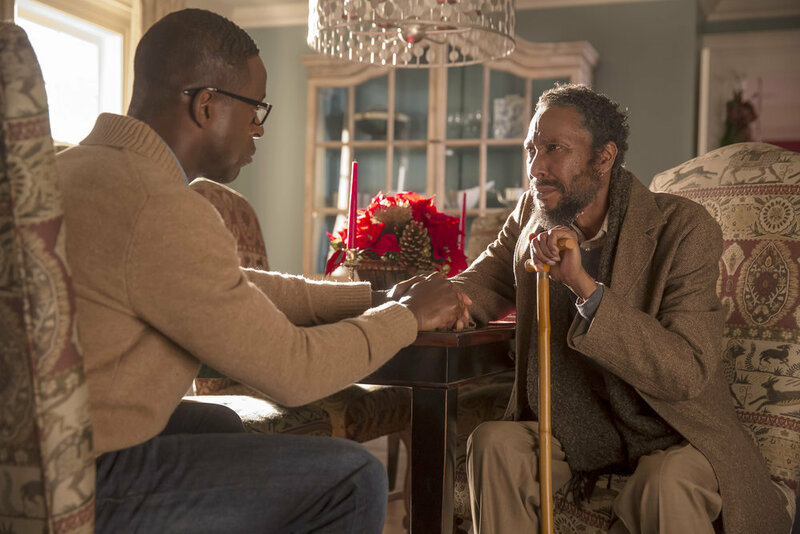 This is Us – NBC’s tearjerker drama continued to impress us, as did actor Sterling K. Brown at this year’s Emmy Awards. He deserved his award (thankfully beating out Kevin Spacey pre-scandal), as he acted the snot out of his half season-long arc with his dying father. People, if you have any humanity left in you, sit down and watch this show. Mindhunter – Okay, from here on out, it gets a little less warm-hearted as we descend into serial killer psychology with the David Fincher produced (and directed half of the episodes) Mindhunter. Come watch Jonathan Groff (acted and sang the part of evil Kristoff in Frozen) and Holt McCallany do the dirty serial killer profiling work no one in the FBI could imagine doing. Based somewhat loosely on real-life events. Never fun to watch, but always compelling. 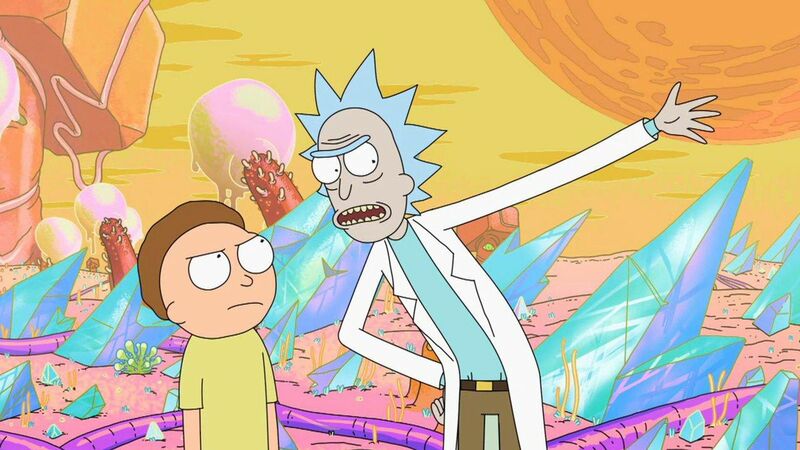 Rick & Morty – We’re often told that young males aren’t watching TV anymore. Rick & Morty is 100% proof that they still are. And it’s usually with this show and the rest of Adult Swim (Cartoon Network’s after hours block). The show is absolute bonkers, which is understandable when you find out that it’s from the demented mind of Dan Harmon (Community and HarmonQuest). And it also generated a McDonalds scandal this year, when fans demanded their Mulan-inspired Szechuan sauce and the restaurant somewhat obliged them. Game of Thrones – Season 6 was polarizing for many fans, as characters seemed to teleport from place to place with ease and characters did weird and stupid things. Now that GOT writers have surpassed the plot lines of author George R. R. Martin’s own books, have they lost the Westeros vibe? Who knows, but it still pleased enough of the staff to get it on our list. Did you check out that fiery loot train battle? And an ice dragon? And aunt/nephew dangerous liaisons? GLOW – Sure, it’s ostensibly about the creation of the Gorgeous Ladies of Wrestling TV show back in the 80’s, but that hook is kind of a Trojan Horse for a lot of other ideas about ambition, friendship, women’s rights and identity. It could be seen as an older sister 80’s nostalgia companion to Netflix’s other hit, Stranger Things. 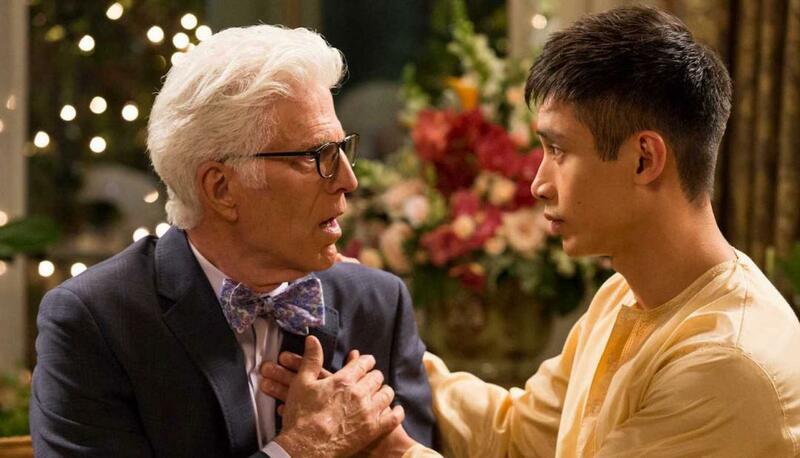 The Good Place – With the track record producer Michael Shur has (The Office, Parks & Recreation, Brooklyn Nine-Nine), it’s no surprise that The Good Place is a great show. We wondered where they would take it after the big twist at the end of Season One, but Season Two is even better. Time for another Jacksonville dance battle. 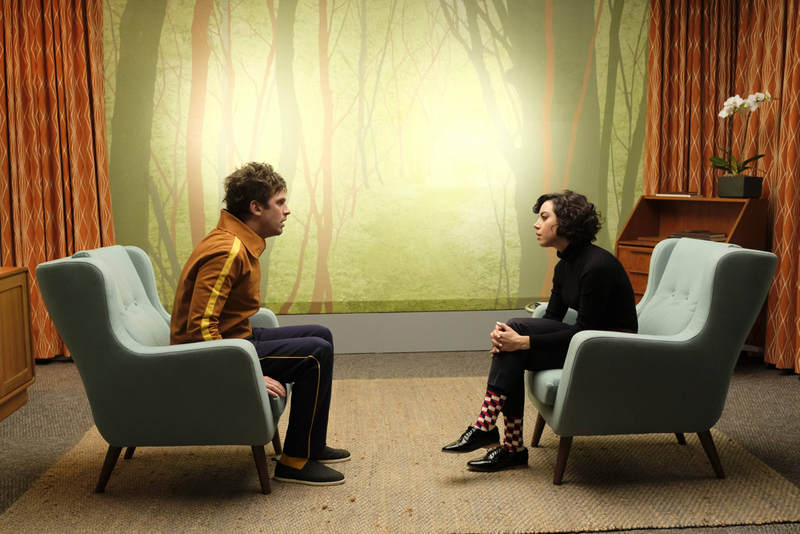 Legion – Now that Disney purchased Fox Television, (Legion debuted on FX), this 8-episode series superhero/mental illness drama might get the Marvel overhaul, but that would be a mistake. Creator Noah Hawley scored with his adapation of Fargo from film to television and he’s doing pretty well with this one. But it was weird and challenging enough to keep most people away with its non-linear storytelling and Audrey Plaza weirdness. Not our creative department though. Master of None – What’s with all these comedians trying to be Woody Allen circa 1979? Well, if they’re done in the style that Aziz Ansari brought to his wonderful Master of None, we’ll take it. The show has its pretentious moments, but it’s also very open and honest and welcoming, giving voice to people who don’t normally get character depth on television. Tom Haverford, you’ve come along way since your days at Entertainment 720. Stranger Things – The overwhelming consensus as the number one show of 2017, Stranger Things 2 was equally binge-worthy as the first season. More 80’s pop culture references, more Demogorgons and more government secrets to unravel – the show probably needed more for Eleven to do than fall in with a bunch of unconvincing X-Men punks, but it still delivered the goods we craved. Did we miss any of your favorite TV shows? Let us hear it in the comments.